This is a simple definition of every link metric for Ahrefs.com reports. These are the metrics you get when exporting links in a csv file through “Raw Data Export” (Ahrefs.com site explorer). Ahrefs changes their metrics and names over time so I’ll try to keep this page updated. Most recently a new metric called “Ahrefs Domain Rank” (ADR) was added. I have also updated several of the metrics’ labels for 2015 from their previous 2014 names. Page last updated Sept 18, 2015. Index – Link number on the ahrefs backlink report (not a backlink metric). This is a legacy metric no longer included on most Ahrefs reports. URL Rating (UR) – Ahrefs URL Rating (replacing what was formerly called Ahrefs Rank or AR) is a purely mathematical equivalent of the now retired Google ‘Page Rank’ metric, also similar to the ‘Power’ metric from Link Research Tools. URL Rating is specific to URL and is based on the number of links to that page and relative strength of each of those linking pages. UR also accounts for how multiple outbound links will proportionally dilute the strength of any linking page to the URL in question. The UR scale goes from 0 to 100 (though no URL is actually 100). For SEO purposes, be aware that since it is purely a mathematical measure, it does not account for how different link types may actually be weighed differently (in Google) such as being based on link or page type, relevance, location on the page, etc… Learn more about URL rating on the the ahrefs FAQ page. Note that URL rating was also called “URL Rank” on their older PDF reports. Domain Rating (ADR) – Ahrefs Domain Rating (replacing what was formerly called Domain Rank) is essentially the URL Rating of the domain as a whole including all subpages. It’s not clear how the scale works as a whole but the #1 linked site, facebook, has a ADR of 100 and seems to set this maximum value on the scale. By comparision, the #2, twitter, has an ADR of 98, while Google.com, at #8, has an ADR of 92. Ip From – IP address of the website/domain. Referring Page URL / UrlFrom – URL address/page the backlink is located on. 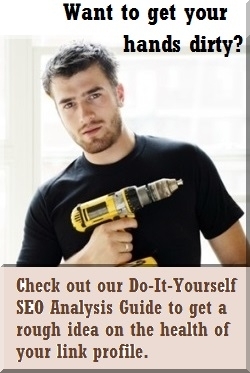 Referring Page Title – Title of the page the backlink is on. Internal Links Count / LinksInternal – Number of internal links (pointing within the site) on the page. 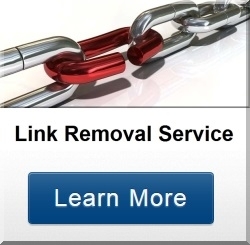 External Links Count / LinksExternal – Number of external links on the page (pointing off of the site). Last HTTP Code – Page http error code when last crawled by ahrefs. This is a legacy metric no longer included on most Ahrefs reports. Link URL / UrlTo – URL address the backlink points to. Size – Size of the page in bytes. TextPre – Text just preceding the link. Link Anchor – html anchor text phrase of the link. TextPost – Text just after the link. Last Checked / Visited – Latest date the page was crawled by ahrefs. Ordinal – Order number of specified link on the page relative to other links (in the html code, not necessarily visually). First Seen – Date the link was first seen on the page by ahrefs. Previously Visited – Previous crawl date from ahrefs (could have been before the link existed). Last Check – The latest date ahrefs has crawled the page to update their index. Day Lost – The date ahrefs detected the link was lost (now dead link). Alt – Alt tag of the link (usually for images). Years ago when I was new to Ahrefs I searched all over for a simple guide that would explain all the link metrics but apparently there were none on the internet so I wrote my own (originally for my own reference). Most of these should be obvious but some of them are not. I don’t know why Ahrefs.com doesn’t have a guide like this on their site since not all their metrics are immediately oblivious from their names. I had to ask their support what “ordinal” meant. Also note that Rewind SEO has no affiliation with ahrefs.com except, obviously, as a subscriber to their awesome link index!